With the goal of travelling to the U.S., couples in serious relationships (with one party being a U.S. citizen) – the other party must try their luck to apply for B1/B2 Tourist Visa. The outcome is surely DENIED if, upon further probing of the Consular Officer during the Tourist Visa interview, with questions such as “Do you know anyone in the U.S.?”, “What is your relationship with this person?” gets a truthful response of “My boyfriend, a U.S. citizen.” While this is an honest answer, this guarantees a denied result in B1/B2 Visitor Visa application. Visitor visa is supposed to be a temporary stay, and having an American boyfriend/girlfriend makes the applicant ineligible for the visitor visa BECAUSE OF POSSIBLE LIFE TOGETHER IN THE U.S. Admitting of having a boyfriend/girlfriend in the U.S., the Consular Officer would most likely advise you that B1/B2 Tourist Visa is inappropriate category for you, and advise you to apply K-1 Fiancée Visa instead. On the other side of the coin, you cannot hide the fact nor withhold the information that you are in a romantic relationship with a U.S. citizen, as keeping this information would have grave repercussions for the visa applicant. If your B1/B2 Visa (also called Tourist Visa) application is denied, one alternative is to apply for a K-1 Fiancée Visa. K-1 Fiancée Visa requires that you have a U.S. Citizen boyfriend/girlfriend who is serious about you, single, ready to commit long term relationship and wants to marry you. But how would a previous denied application of Tourist Visa affects one’s chance to be approved of K-1 Fiancée Visa? B1/B2 Tourist Visa and K-1 Fiancée Visa are two different visa categories. Being ineligible in one doesn’t mean you are also not appropriate for the other. The best practice here is to check which visa category applies to you best, would you be able to satisfy the requirements of the category you chose, and what is your REAL purpose of travel. Then apply for the visa category based on your eligibility. K-1 Fiancée Visa establishes the intent to travel to U.S., get married, and to eventually live together in the U.S. Being denied for a previous Visitor Visa application should not hurt your chances for any future visa applications, especially if you are changing visa category. Provided that on the following applications, you give consistent personal information, make travel plans in accordance to your visa category, and you only give truthful answers and avoid submitting any fraud documents or statements. Even if it is convenient, please do not lie to the U.S. immigration officer during the interview, while filling out forms and presenting supporting evidences. Consular Officer keeps track of all your information in every visa application. All your statements are recorded. Only in the event of any inconsistencies/frauds will a previous denied application makes an impact on your chances of getting your K-1 visa approved. My US Visa Application Is Denied! How to a Apply for a Waiver? What Causes U. S. Visa Application Refused? Why is it not advisable for my fiancée to apply for a US tourist visa? 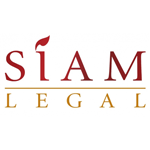 Siam Legal is a full service law firm but it has an extensive range of immigration, corporate, and real estate experience accessible to clients both domestically and internationally. It has offices strategically located throughout the major cities in Thailand including Chiang Mai, Pattaya, Hua Hin, Samui and Phuket along with international representative offices in Australia, London and Las Vegas. Find how you can increase your chance on getting a US visa in Thailand. Sign up for our monthly newsletter.